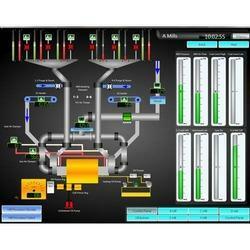 Service provider of HMI Software Development Service. Our product range also comprises of Electric Arc Furnace, Rogowski Coils & Integrators and Fume Extraction Systems. In order to provide the finest HMI Software Development Service to our clients, we engage in using of the finest resources available to us. For reasons of maintaining its standard of quality, the offered services are made available by the skilled and experienced professionals, abiding by the set industry norms and guidelines.